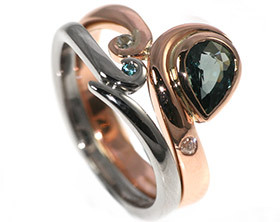 When Sam said yes to Brian's proposal the couple came to the studio to design a bespoke engagement ring together. 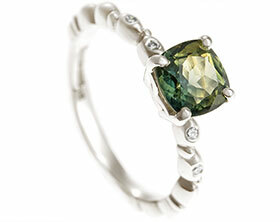 The couple both work in nature conservation and wanted to reflect this through the use of a green stone. 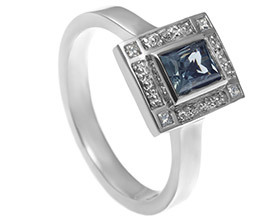 At the centre of the design is a striking 1.02ct cushion cut ceylon sapphire which Sam chose from a selection of stones which we sourced for her. 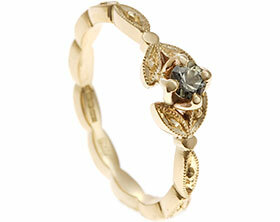 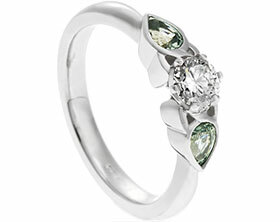 To continue the natural theme, 9 carat white gold has been shaped into an organic floral design around the stone. 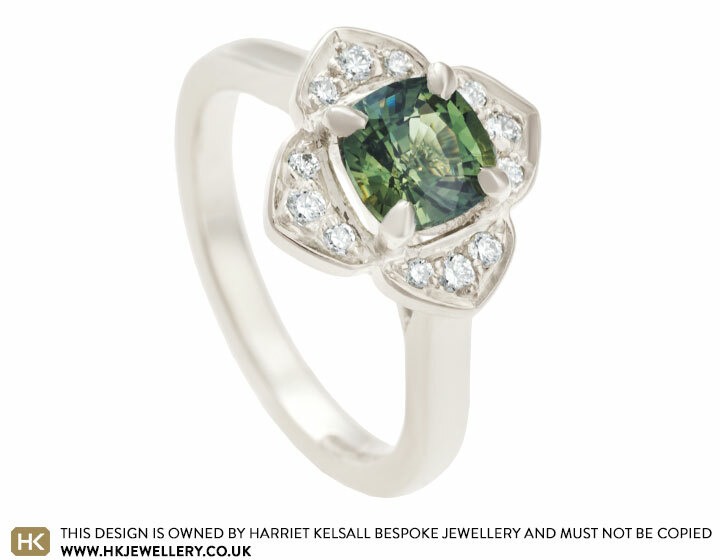 The final design is a dramatic floral cluster design with each petal holding three pave set brilliant cut G-H VS1-2 diamonds. 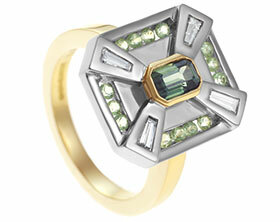 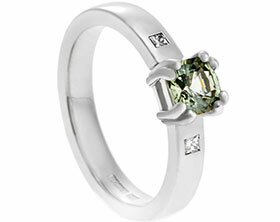 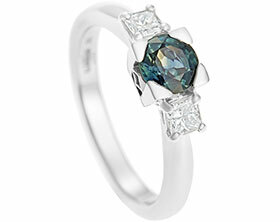 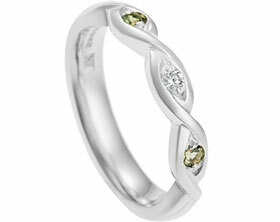 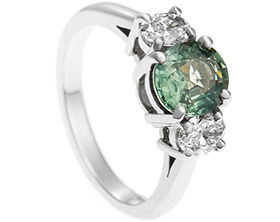 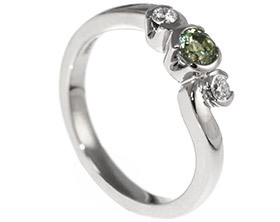 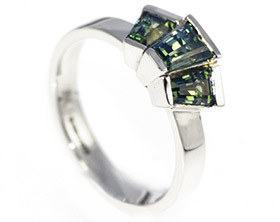 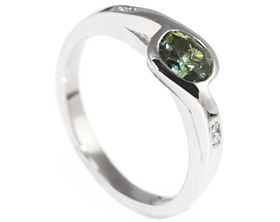 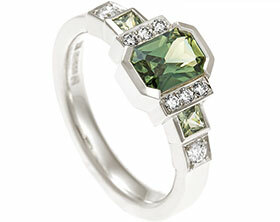 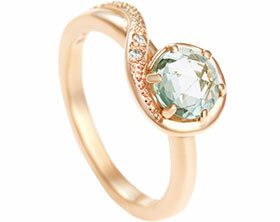 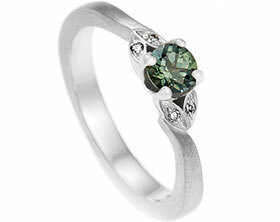 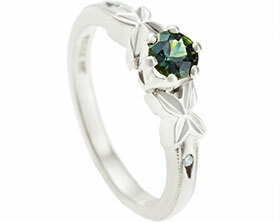 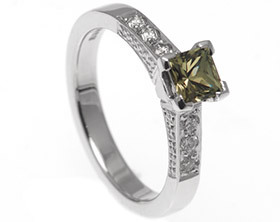 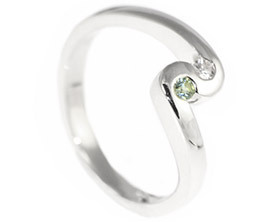 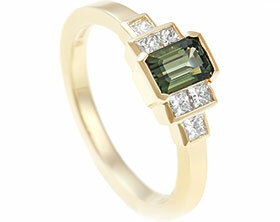 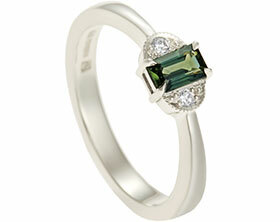 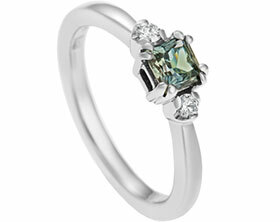 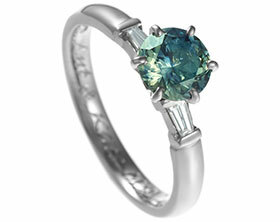 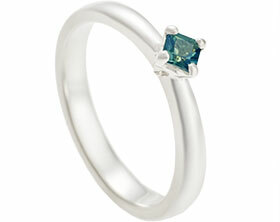 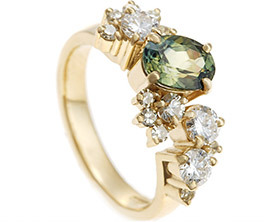 Art deco inspired ring with a stunning green sapphire. 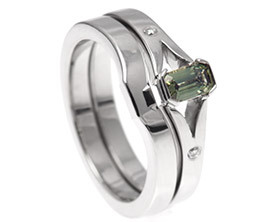 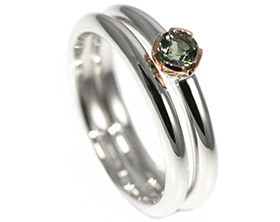 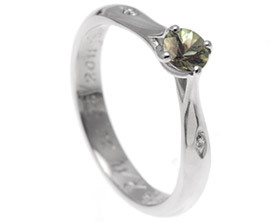 Gareth and Rachel's leaf green sapphire engagement ring. 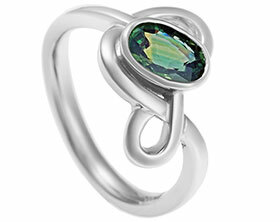 Steve designed this palladium engagement ring for Kiri.